U. S. renewable fuel policy has two primary objectives: 1) to reduce petroleum imports, increasing energy security and 2) to reduce greenhouse gas generation in the transportation sector. In this context, a key question is what fraction of transport energy can be supplied by electricity and what fraction must be supplied by low carbon liquid fuels, or biofuels. Two recent papers, one focused on the U.S. and another with a global perspective, show that the ability of electricity to serve the light duty fleet is much less than previously thought if both energy security and GHG reduction are to be achieved. Importantly, both studies conclude that by 2050 approximately 80% of total transportation fuel globally and in the U. S. will still be energy dense liquid fuels, even with aggressive efforts to electrify the light duty fleet. The implications are daunting – successfully de-carbonizing light duty transportation requires simultaneous “successes” around key challenges. First, growth in travel would need to be moderate at most, unless nearly all petroleum is replaced with alternative biofuels. Secondly, nearly all light duty vehicles would need to be hybrid or electrified by 2050. Third, U.S. electricity supply would have to be massively decarbonized. Changes of this magnitude may still be insufficient to meet an 80% GHG reduction without additional low-carbon cellulosic biofuels replacing gasoline. Current U.S. policies with respect to low-carbon, renewable fuels are highly conflicted. The “blend wall” limiting ethanol to about 10% of gasoline is an artifact of federal policy. It is not a technical barrier. The blend wall effectively pits first generation corn ethanol against potentially more abundant and low-carbon ethanol from cellulosic biomass. The fate of second generation biofuels is dominated by the market availability for these fuels; a market the Renewable Fuel Standard (RFS) was intended to require, but has not due to EPA’s inconsistent implementation. The intent of the RFS must be fully realized if we are to move toward both energy security and low-carbon fuels. How can U.S. policymakers best support energy security and GHG emission reduction, considering the need for both biofuels and low-carbon electric vehicles? What fraction of transport energy can be supplied by each source, and what policy options are needed to support each? What are the largest challenges facing electric vehicles and second-generation biofuels? The Renewable Fuel Standard statute defines “renewable fuel” as “fuel that is used to replace or reduce the quantity of fossil fuel present in a transportation fuel, heating oil, or jet fuel.” That’s a good starting point for consideration of any policy aimed at reducing greenhouse gas emissions and increasing U.S. energy security. The two recent papers by Fulton et al and Meier et al illustrate an important point – renewable fuels should not be viewed as competitors with each other. They should instead be evaluated according to their additive ability to displace use of fossil fuels as a proxy for reducing carbon emissions and increasing security. Fossil fuels use impacts every aspect of the U.S. economy, including food costs, products used in the home, and mobility. It would be difficult for any single renewable fuel to replace all fossil fuel use. But cumulatively, all renewable fuels can displace a considerable and growing amount of fossil fuels. Similarly, energy conservation should not be seen as a sufficient strategy for fossil fuel and greenhouse gas emission reduction, without corresponding displacement of fossil fuels by renewable fuels. The Environmental Protection Agency is currently citing the so-called blend wall as an excuse for its proposal to set various types of renewable fuels in competition with each other under the RFS (rather than to displace fossil fuels). The outcome is easy to predict – an increase in reliance on fossil fuels, an increase in consequent carbon emissions, and a decrease in U.S. energy security. The use of more petroleum in the U.S. during 2014 compared to 2013 automatically increased carbon emissions during the year. EPA’s proposal and its failure to finalize a 2014 rule in a timely manner caused unnecessary carbon emissions equivalent to putting an additional 3.6 million cars on the road during 2014. Gasoline and diesel use are expected to increase in 2015 compared to 2014. And EPA’s proposal to limit the use of biofuels would cause an increase of 34.9 million metric tons of carbon emissions, which is the equivalent of putting 7.3 million more cars on the road during the year. For 2016, EPA’s proposed rule would be equal to putting 11.7 million cars on the road, over and above those added during 2015 and 2014. Clearly, the agency’s proposal is headed in the wrong direction on carbon emissions. The RFS is a successful and effective policy – it has supported the development and commercialization of new cellulosic and advanced biofuel technologies. And it has demonstrated that opening the transportation market for renewables can help companies attract the capital investments needed to rapidly expand renewable fuel production. One of the biggest challenges the renewable industry faces today is a public relations campaign by entrenched oil interests aimed at destroying demand for renewable fuels. In many instances, this pr campaign is taking the form of an “astroturf” promotion of unblended gasoline and its myriad benefits. See, for instance, Energy Trends Insider). Gasoline that doesn’t contain ethanol would have to contain petroleum aromatics, such as benzene, which is a known carcinogen, as octane booster and oxygenate. The oil industry has gone so far as to promote pleasure trips to the beach using gasoline that contains ingredients known to cause health problems for everyone else. Environmental groups ought to be up in arms over that. Beyond that, building infrastructure to support renewable fuel distribution and new vehicles that primarily use renewables is a major challenge. Current Obama administration policy promotes energy efficiency – through higher CAFE standards – while allowing the RFS to languish. CAFE standards previously encouraged the production of flex fuel vehicles that could run on higher concentrations of ethanol, making more room in the market for renewable fuels. The administration is sending a very negative signal to advanced biofuel developers by allowing policies to set renewable fuels in competition with each other for limited market space – which of course reserves the largest market space for fossil fuels. The RFS was conceived in 2006. As pointed out by Bruce Dale the dual goals were decreasing reliance on imported oil and reduced GHG related to transportation. The first goal has been met and surpassed, essentially accidentally, due to domestic shale oil production. Since 2006 oil imports have dropped by 31% and the end is not in sight. Also since 2006 is the explosion of cheap natural gas produced domestically. This has displaced oil based fuels in two important areas. Compressed Natural Gas (CNG) in short haul trucks and Liquefied Natural Gas (LNG) for long haul are making steady inroads. GHG are certainly reduced by this substitution. Volvo Trucks will launch a Class 8 truck this year running on pure dimethyl ether (DME), produced from natural gas or biogas, and emitting zero particulates in the combustion. RFS relied on gasoline substitution. Diesel substitution may be more important for overall public health benefits. In any case oil is being displaced. The second area of oil displacement is chemicals previously made from oil derivatives now being sourced from natural gas. This is happening for purely economic reasons. Ethane, a component of natural gas, is currently processed to ethylene at substantially lower cost than from oil. In recognition of the natural gas to chemicals opportunity over $140 billion of new capital is slated with over half of that coming from non-competitive foreign companies. In effect oil is being replaced elsewhere as well due to ethylene and other chemicals being produced in the US. Biofuels will continue to be important especially for aviation fuel. Crops non-competitive with food such as Jatropha ought to be favored. With the plummeting cost of DNA sequencing, high throughput screening and so forth, variants with commercially important properties such as high yield and drought tolerance are in sight. Finally there is the statement by Paul Winters that “Gasoline that doesn’t contain ethanol would have to contain petroleum aromatics, such as benzene, which is a known carcinogen, as octane booster and oxygenate”. Certainly ethanol is used for those two reasons. But ethanol from cellulose, hemicellulose and lignin has proven economically elusive to date. On the other hand methanol is economically derived from natural gas, biogas or even woody biomass. Methanol is twice as effective as an oxygenate than ethanol and is an even better octane booster. Aromatics are completely unnecessary as ethanol substitutes. The real question is how to get from here to there. The benefits of high-octane biofuels are manifest – they enable engine manufacturers to increase compression ratios, providing a boost in efficiency and performance, they reduce greenhouse gas emissions, and they displace toxic aromatics. Automakers are ready and willing to optimize new vehicles for a mid-level biofuel blend, but they need guidance from EPA that it will support a transition to higher octane fuels. That is what has been truly elusive. I agree with Reid Detchon that the industry ought to move towards engines suited to the substitutes. Certainly ethanol and methanol have high octane ratings, allowing efficient high compression engines. High compression prior to ignition causes temperature rises in the cylinder. High octane helps handle that. But a lesser know property of ethanol and methanol is high latent heat of evaporation. When injected as a liquid, the evaporation cools the cylinder. Here is the kicker. Ethanol has 2.6 times the evaporative cooling benefit of gasoline, and methanol is even better at 3.7 times. The injection would be responsive to the measured temperature. A further benefit is lower combustion temperatures, and thus reduced NOx. Also, a high compression engine delivers more torque. Such vehicles will be fuel efficient in the extreme, use less petroleum products, have vastly reduced tail pipe emissions compared to all but electric vehicles, and drive like muscle cars. They should move off the lot. I disagree with the entire thrust of the discussion so far. The economic obstacle to more widespread use of biofuels and electric vehicles is that their cost is greater than any reasonable estimate of their benefit for either energy security or climate change. And the Renewable Fuel Standard has set a new standard for foolish and counterproductive policy design. With current and prospective technology, battery electric vehicles (as opposed to gasoline hybrids) will remain niche vehicles purchased by the wealthy looking for an exotic muscle car or symbol of their environmental commitment and by fleets or other users that can tolerate limited range and capacity because of high utilization that amortizes high initial cost over high mileage. And this is with all the current subsidies. On the basis of full economic cost, even those uses would not pass the market test. I would love to have a BMW i8, but not as a cost-effective way to reduce gasoline use or greenhouse gas emissions. No study that my colleagues and I did at NERA Economic Consulting found more than a small market for electric vehicles until we assumed carbon taxes in the hundreds of dollars per ton. And to avoid getting back into debates about the wisdom or attainability of an 80% reduction in U.S. emissions when China, India and Russia have expressed no willingness to reduce their emissions in comparable amounts, I simply cite the White House estimate of $36 per ton as the global economic benefit of reducing greenhouse gas emissions. It is even harder to find energy security benefits that could justify the added cost of electric vehicles. One quantifiable benefit of reduced petroleum consumption or increased production of crude oil is the reduction in the world oil price. Since we are and are likely to remain net importers, lower world oil prices improve terms of trade as well as making consumers happier. I have worked on this subject for 40 years, and have never been able to find an oil price benefit worth more than about 25 cents per gallon. And even forgetting current electric vehicle subsidies, a gasoline tax increase of that magnitude would not even come close to making widespread adoption of electric vehicles feasible. The problem with electric vehicles is what it has always been, battery technology. Sufficient capacity to compete with gasoline vehicles on range is still prohibitively expensive and/or heavy. Twenty years of private and government research have not overcome the problem. A true technological breakthrough could change the game for electric vehicles, but it will not come about from any policies promoting greater use of current technology. It will require greatly increased incentives for basic research in the private sector and universities in fields that might provide relevant breakthroughs. 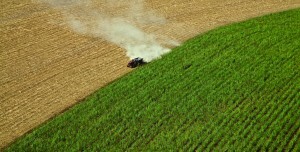 For biofuels, the situation is even worse. Finding biofuels that actually do some good for greenhouse gas emissions globally is a complex and uncertain research task, when all the effects of land use change and emissions from growing and producing the fuels are taken into account. The conventional ethanol that is the primary target scores particularly badly, leading to market distortions like the exchange of US corn ethanol for Brazilian sugar ethanol. Moreover, the widespread adoption of biofuels implies competition for water and land that imperils global food supplies as well as forests. Few supporters of biofuels are willing to admit that the historical fact that destruction of Amazonian rainforest and murder of inhabitants and missionaries is caused by demand for land to produce ethanol. The Renewable Fuel Standard is not, as some claim, a program that just needs to be implemented enthusiastically and consistently by EPA. It was fatally flawed from the beginning. First, Congress mandated that a specific and growing volume of renewable fuel be mixed into gasoline in every future year. The calculations on which those volumes were based implicitly recognized the blend wall, but they relied on a forecast from the early 90s that gasoline demand would grow rapidly. Instead, gasoline demand stagnated, so that the mandated volumes rapidly exceed the maximum percentage that could be blended into gasoline without harming engines of existing vehicles. Rather than recognize this error in drafting when it became apparent as early as 2012, Congress and EPA did nothing. Literally. EPA simply put off setting the requirements that refiners would have to meet in 2013, 2014 and now 2015. So refiners still do not know what amount of ethanol they are responsible for getting into gasoline. The proper solution to this problem is not to put further impossible requirements on refiners of gasoline, but to recognize that technology mandates like the RFS are inherently flawed, do not incentivize the kind of R&D needed to develop fuels that are both economic and capable of providing net reductions in greenhouse gas emissions, and will eventually fail. But even with a less flawed set of incentives for introduction of current biofuels or those now in development, their widespread deployment cannot pass a cost-benefit test for either energy security or greenhouse gas emissions unless far higher numbers are assigned to those benefits than come out of current research. David: I think you underestimate the progress and value of battery electric vehicles (BEVs). First of all, BEV’s are better than internal combustion engine (ICE) cars in every way except range and initial cost, and both of those items are improving rapidly. Energy costs are much cheaper for BEVs ($8.50 for 250 miles instead of $26 for a 30 mpg ICE car), and BEVs are more reliable, have better performance, are safer, require less service, are quieter, have zero emissions (at the vehicle), and are more fun to drive. Yes, a long-range BEV is expensive right now, but at least 2 manufacturers (GM and Tesla) plan on having 200 mile range vehicles available in 2 years at the $35K price point. And a BEV saves about $10,000 in fuel costs over 5 years, so the net cost will soon be in the $25K range (and $20K with tax incentives). While time to charge is often listed as a problem for BEVs, my experience is that it only takes about 5 seconds of my time to charge my car. I just plug it in when I get home and it is full every morning. Never needing to spend 5 or 10 minutes at a gas station is a big benefit of owning a BEV. I have also taken quite a few long range trips and Tesla’s supercharging network makes such trips easy (and free). Note that BEVs are about twice as efficient from an energy perspective than ICE cars because they do not produce heat from combustion. And while most sources of electricity for BEVs involve fossil fuels (at least for now), BEVs still have lower net emissions than a standard ICE vehicle in almost all situations. And if we have a fleet of BEVs, as we clean up our electric power generation, our transportation sector will clean up along with it. The economic opportunity of BEVs is driving innovation in battery space right now. While progress was slow in the past, it is picking up. Tesla’s Gigafactory will produce more L-ion batteries than the rest of the world combined and their current technology will support a 200 mile range mid-priced car. They and others will not stop there. I believe in 10 years, BEVs will be the preferred vehicle for most personal transportation needs. Thank you, David Montgomery for returning the discussion to reality—especially with respect to biofuels. Commenters seem to have forgotten the circumstances that led to passage of the great expansion of the RFS in 2007. Oil prices had been rising for several years; constituents were demanding that their representatives in Washington “do something” about the high price of gasoline; peak oil was a popular theme with its own bipartisan congressional caucus; leaders of both parties glommed onto ethanol as a panacea that would provide us with billions of US-made gallons of the stuff made from wood chips and switchgrass as well as corn, creating thousands, if not millions of jobs by 2012 the year George Bush implied cellulosic ethanol would be market ready; it would also help the farmers, punish OPEC, etc. etc. Of course, now the price of oil is low, more and more of the oil comes from the US, gasoline demand is down, cellulosic ethanol and other advanced biofuels have never been market ready and the implication that they would be if the EPA had only pushed harder is not remotely credible. If the Energy Independence and Security Act of 2007 were to come up for a vote today, given both the price of oil and the doubts about ethanol from an environmental as well as an economic standpoint, I suspect it would never pass. It is unfortunate that the RFS now has too many lobbies that benefit from it so it cannot be repealed. Let’s begin with the largest problem. Current transportation policy assumes that the various substitutes for oil — hyper-efficient vehicles, road to rail modal shifts, electrification, biofuels and natural gas — are economically uncompetitive and thus can be justified only as energy security and climate investments — and that these two purposes in turn are low priority calls on scarce government funds because they raise costs for passengers and good shipments. But in fact, as we have just experienced, very modest shifts in the supply/demand ratio for oil produce very large reductions (or increases) in the cost of fuel. A roughly 5% softening of the supply/demand balance has been enough to drop oil prices by 50%. And keeping those prices in the $50-$70 range, instead of allowing global economic growth to propel them back over $100, reduces the petroleum rents paid by oil importing nations — including the US — by over $1 trillion year. That is plenty of savings to pay for a much more rapid growth in post-oil transportation options than is needed to keep the oil market soft. So the US should form a global collaboration with the EU, Japan, China and India to ensure rapid opening up of oil’s current transportation monopoly, the only force which can enable oil producers to return to a market where they can command $100+ prices. Since many of the oil substitutes mentioned above are, on a total cost of ownership basis, already cheaper than gasoline and diesel at $100/barrel, we can easily afford the premium needed to growth their market share when oil is at $60, because we will reap not only the benefits of the oil we displace, but also the much cheaper price on the oil we keep using. Consumers can recapture the bulk of petroleum rents which a few years ago had soared to over 3% of global gdp. Dale’s discussion of the need for liquids in this mix is flawed for two reasons — although we will need liquids. First, neither of the studies he cites actually shows that the light duty fleet cannot be almost entirely electrified by mid-century — they simply assume it cannot. Even with today’s relatively early stage technologies and batteries, and small production volumes, Norway has achieved 20% new fleet sales of electrics — and by mid-century we are likely to be transported by shared and autonomously powered vehicles, for which electrification is highly compelling. So the light duty fleet is not going to be liquids dependent by 2050 if policy is deployed to support electrification. Second, as Vikram Rao points out, at least in the US fossil methane is moving rapidly into the heavy duty fleet. And the economics of renewable methane are looking increasingly more promising than the economics of renewable liquid hydrocarbons — biomethane is the fastest growing alternative fuel in California. But we will need bioliquids in other parts of the transportation system — aviation most unequivocally. So getting biofuels policy and incentives right, clear and consistent is indeed as important as all of the commentators agree — just not for the light duty fleet. There have been a lot of good comments here, each with it personal bias angle. With the exception of David Montgomery, who I think has the facts substantially wrong; everyone has brought something to the table to discuss. First, when looking at our transportation needs, the vehicle and the fuel, or energy carrier, needs to be evaluated as a system. Light duty and heavy-duty vehicles are different systems. Different drive cycles are a different system. Not making these distinctions lead to flawed analysis. Therefore, I think the question is stated a bit too simply. Bill: I’m not sure why you think BEVs are not efficient. While battery packs are relatively heavy, electric motors are inherently twice as efficient as internal combustion engines and that more than compensates for the extra weight. The EPA ~100 mpg equivalent mileage that most BEVs achieve includes the weight of the batteries. As for electrical equipment, all cars have that. Except for heating and air conditioning, other electrical equipment in a BEV is insignificant compared to the energy used to move the car. A Tesla Model S at normal highway cruising speed consumes 20,000 watts (and much more when accelerating) so the radios, computers, lights, displays, cameras, etc. are a small fraction of that even in aggregate. By Dave Goldstein President, Emeritus, Electric Vehicle Association, Washington D.C. It may come as a surprise to some of the EV deniers in this discussion, but from 2008 to June, 2015, some 345,000 highway-legal Plug-in Electric Vehicles were sold in the U.S., and every year thus far, the rate has been escalating. PEV sales are not being held back by arguments about decarbonizing the electricity grid (which, in fact, is occurring) or by alleged technical shortcomings including overestimated weight encumbrances and overwrought concerns about parasitic drains from heating/AC and other accessories. Rather, the growing numbers of sales and leases reflect federal and state tax incentives coupled with concerns for the environment and energy security, a fascination with high technology and the practical pocketbook issues of greatly reduced fuel and maintenance costs. At the same time, battery costs which have been aided in part by government R&D and partially by mass production, are dropping dramatically – now at about $300/kWh and approaching $125/kWh in a matter of years — helping to bring the initial purchase cost of an EV ever closer to the price of a comparably-sized and equipped internal combustion engine (ICE) vehicle. And driving ranges are more than doubling, from about 85 miles per charge for a Nissan Leaf to 200+ mile ranges for next year’s $30,000 all-electric Chevrolet Bolt and the soon-to-be-unveiled $35,000 Tesla Model 3. Plug-in Hybrids (PHEVs) like the Chevrolet Volt and the Ford Fusion and C-MAX Energi models are growing in popularity, offering 300+ mile ranges and impressive performance. Yet we still have a long way to go before PEVs (EVs + PHEVs) make significant inroads into the well-established quarter of a billion domestic light vehicle (cars, SUVs and pickup trucks) fleet, and thereby impact energy security and GHGs. Can we do it by 2050? Can we achieve 40 percent, 50 percent or more market penetration? Yes, if the present exponential growth curve can be maintained with the aid of federal and state incentives, better education and a more holistic viewpoint from the dominant petroleum interests as they continue to transition into energy companies. As Carl Pope has suggested, now is the time to take advantage of the billions of dollars in savings from the present oil glut and consequent depressed oil prices, in preparation for the next swing of the oil pendulum, when the supply/demand metric begins to edge back towards demand and escalating oil prices of $100+ take hold again. Inland waterways can relieve the burden on port infrastructure – especially in the maritime ports – and on the surrounding rail and road infrastructure, thereby reducing congestion, energy and fuel costs. In terms of energy consumption per tonne of freight, inland shipping is already regarded as one of the most efficient means of transport. Important to point out when 90% of global trade moves by water. Transportation is especially demanding in terms of power density and energy density (both gravimetric and volumetric). Passenger-mile energy efficiency requires that the smallest possible fraction of a vehicle’s mass and volume be devoted to fuel and engine. It is necessary to quantify things to see the difference between fact and fantasy. An electric Tesla S P85 at 3 times the price delivers half the horsepower/lb and half the range/lb and far less range per cu ft than a gasoline-powered Ford Mustang GT; and its lackluster performance comes with higher lifecycle emissions per mile due largely to battery fabrication, replacement, disposal, and charging realities. Biofuel-powered vehicles fall in between electric vehicles and liquid hydrocarbon vehicle in performance on the road, but are worse in the economic and environmental costs of producing their fuel. Again it is the complete fuel and engine lifecycle that matters, not just tailpipe emissions so often and ingenuously quoted by EPA, DOE, and the fraudtrepreneurs who once roamed this now dying sector . Carbon should not be demonized. Besides boosting plant growth efficiency and crop yields globally to the tune of trillions of dollars of GDP as atmospheric CO2 and soil humus , it is a chemical miracle worker that greatly improves the power and energy density of liquid fuels. It is optimized with hydrogen in a 1:2 ratio that yields high density, supremely versatile, and easily handled liquid fuels. Diesel and jet fuel hydrocarbons are at the apex of the energy density pyramid of liquid chemical fuels. The world’s engines have evolved to follow the best fuels, not vice-versa. Octane-boosting additives and oxygenates actually reduce the energy density of fuels. They are added for obsolete technical and political reasons, and engines could be made more efficient and less polluting if pure hydrocarbon formulations were allowed. The USA could be enjoying the benefits of 82 MPG diesel-engined cars available in Europe if the EPA had not misguidedly made them economically uncompetitive over here by mandating ridiculously low levels for sulfur in diesel fuel that make it non-competitive with gasoline, and had not literally made them illegal by mandating ridiculously low particulate emissions standards that now restrict semi-truck emissions per mile to 143 times less than those produced by grilling a single hamburger. It is a wonder that humans have such ready access to plentiful liquid hydrocarbons from below the biosphere, and can bring so much energy to civilization without the massive consumption of land and water and forests and biodiverse habitat that marked the self-destructive path of previous civilizations. On a per BTU basis, fossil fuels powering today’s machines have a far smaller lifecycle impact on the environment than burning straw, wood, charcoal, dung, or coal inside homes for heating and cooking — the agricultural age alternative still practiced by billions in 2015. The importation of 80% of human civilization’s primary energy from outside the biosphere is why the world’s forests are now in overall growth rather than retreat. Transforming biomass feedstocks into liquid fuels is a thermodynamic dead end that leans heavily on fossil fuel in a fatal irony. The only sensible use of biomass for fuel is what has been done with it for thousands of years — burning those resources in their native forms and avoiding the heavy thermodynamic losses of conversion of the saccharine polymers and triglycerides into sugars and esters and alcohols and hydrocarbons and various other organics with inferior performance and less benign toxicity and polluting characteristics. Reducing or removing carbon from fuel leaves lower energy-density liquids such as ammonia, methanol, butanol, and ethanol; or gases such as methane and hydrogen. Vehicles based on these fuels must have higher mass and volume fractions dedicated to their propulsion systems to deliver the same performance, thus making them inherently less efficient. This is moving in the wrong direction if we want to reduce the human resource consumption footprint. Pure liquid hydrogen requires 3.8 times the volume to store the same energy as gasoline. Ethanol requires 50% more volume than gasoline. Carbon works both to densify fuels and adds its own energy to the mix. It is because of these special properties that a gallon of gasoline actually contains 63% more hydrogen than a gallon of liquid hydrogen, as well as 3.8 time the energy. It is hard reality like these metrics that govern how the human economy has evolved. Physics is not subject to wishful thinking. Bruce Dale and I have discussed energy return on investment (EROI) extensively in the past. Biofuels, particularly liquids, suffer from very low EROI when intensive cultivation is used to boost yields to the levels necessary to farm them economically and to produce quantities that can displace a non-trivial fraction of other fuels. The EROI for corn ethanol is less than 1.5:1, and sugar cane ethanol is less than 2:1 (despite Brazilian claims to the contrary). An EROI of 6:1 is barely sufficient for a modern, energy-intensive, post-industrial economy. Fossil fuels current run from about 10:1 for deepwater petroleum to 165:1 for Marcellus shale gas — another inescapable scientific and economic reality. The commenter who suggested Jatropha should scan the research literature to see where that has gone. The fatal limitations include very low yields per acre and a water footprint of 20,000 gallons of water to produce one gallon of biodiesel. Soy biodiesel is little better at about 15,000 gal/gal, and U.S. corn ethanol substantially more efficient at 1,200 gal/gal. But it takes less than 20 gallons per gallon to produce gasoline, including all the secondary recovery well-injections and refining steps. Reality intrudes again. We should be defining as “green” those energy options which deliver a BTU of useful energy with the lowest lifecycle emissions and environmental impact. By such criteria, even including GHG emissions, fossil fuels are more green in the transportation sector than electric and biofuel alternatives. As to energy security, RFS has resulted in subsidized imports of ethanol and biofuel feedstock, while we are exporting 4 million barrels per day of U.S.-refined gasoline and diesel to other nations. American’s suffer from no lack of fuel or energy, only from a lack of good governance. Ike: I’ve never seen “Tesla” and “lackluster performance” used in the same sentence before. The Tesla Model S is the fastest production sedan ever. Ever. They announced last week that the top Model S can now go 0-60 mph in 2.8 seconds. This is a car that can seat 7 (with child seats) and holds as much as an SUV. No one who has ever driven a Tesla would believe it has lackluster performance. While the net emissions from a BEV depends on the source power plant, they range from near zero (for solar panels) to about 310 gm/mile in West Virginia (mostly coal). Tesla says the nationwide average is 163 gm/mile for the Model S compared to 400 gm/mile for the average ICE car. As for the impact of battery production, the negative articles about L-ion batteries were sourced to studies that used data from small scale batteries and scaled up the data to evaluate the large scale (85 kWh) Tesla batteries. But that doesn’t work. The studies came up with a weight of 758 kg, but a Tesla battery weighs 450 kg (and the lithium ion battery cells weigh 322 kg). That’s a big difference when you are measuring production energy and other impacts. Other assumptions in the negative articles about vampire loads are just plain wrong. When the car first came out, there was an issue of vampire loads but that has since been corrected and losses while not being driven are quite modest now. I’ve driven my Model S over 50,000 miles and the battery has only degraded a few percent. There is no question that the battery will be good for over 100,000 miles and after that, the battery can be used as a stationary energy storage battery for another 10 years. While it does take energy to make a battery, it also takes energy to make gasoline. As we run out of conventional oil and move more and more to unconventional heavy oils, the fossil fuel energy penalty will increase. Also note that Tesla is building its “Gigafactory” in Nevada and there is a lot of room allocated for renewable energy sources for the factory. That, plus other improvements in this new product line, will lower the GHG emissions from battery manufacture while the emissions from fossil fuel production keep rising. When it comes to your views of the beneficial impacts of climate change, it is safe to say that climate scientists do not agree with you. Your attempt to redirect from range and power metrics, which are the fundamentals of transportation, to torque (0-60 mph acceleration), is exactly the same distracting testosterone gambit that Elon Musk is playing. You fell for it; I will not. Why did you appeal to Tesla’s claimed range instead of saying what you get? What is the farthest you have driven on a single charge? What is the range left in the battery after the 0-60 mph jackrabbit start you offer as proof of performance? How many of those starts can you do? You say vampire loads are cured. Perhaps for California drivers who keep their cars in mild temperatures or climate-controlled garages, but not for the average driver whose car sits out in the weather. These loads are are for maintaining the minimum temperature of the batteries so they can produce full voltage and are not permanently damaged. Cold-soaked electric cars do not perform well. That is not a software fix. Electric motors are great for torque, but batteries remain poor at storage. Electric cars predate gasoline cars, but electricity (and ethanol) lost that competition when gasoline became available due to the range and power superiority of the newcomer. Hybrids have been around since the 1950s in the form of diesel-electric train engines. Why are trains hauling around big tanks of diesel fuel instead of boxcar loads of batteries? Because it is the far superior way to store energy — both for energy density, and for cost. Here is a nice piece on the true lifecycle emissions of the Tesla (http://www.uniteconomics.com/files/Tesla_Motors_Is_the_Model_S_Green.pdf). It is an unfortunate truth that simple is cheap and energy efficient and low-emission, while complex is expensive and energy-intensive and high-emission. Also, building a lightweight aluminum car requires 5 times the energy of building a steel car, largely because aluminum is too soft to easily stamp and stretch and weld, and it requires many more steps to move from raw material to final shape. The Tesla performs the sleight-of-hand of minimizing on-road emissions by piling up off-road emissions in the manufacturing process. The Earth is not fooled; it is lifecycle emissions that matter. If you really want to save the Earth, buy an 82-mpg Volkswagen Polo diesel with hand-cranked windows and a manual transmission. If you want to fool yourself into thinking you are green, buy a Prius or a Tesla — and drag race it for jollies. To answer your question directly, the farthest I have driven on a single charge is about 250 miles (out of an official range of 265). I typically assume I can drive 220 miles without thinking about it (and that includes hills and driving faster that 55). The newer Tesla’s have more efficient motors and a sightly bigger battery so they get 300 mile range, which I would downgrade to 275 if you want to drive fast. I can drive anywhere in the Bay Area and back twice without recharging. I have also taken many long-range trips in my Tesla, mostly from SF to LA. The Superchargers are great and they’re free. I would always stop at Harris Ranch when making the trip anyway; now I “fill up” while getting lunch or dinner. While people may fear range anxiety, the reality is you have less range anxiety with a Tesla than you do with an ICE car. My car is full every morning and I never need to think about going to a gas station ever. On a long trip, I need to think about where the Superchargers are (actually, the car figures that out for you), but the little extra time I spend charging on long trips is more than compensated by the zero time I spend refueling when not traveling on long trips (which is 90+% of the time). From a drivers point of view, a BEV is better than an ICE in every way except initial cost and maximum range, and both of those factors are improving rapidly. Compared to an ICE vehicle, a BEV has better performance, is safer, more reliable, easier to maintain, is much cheaper to operate, doesn’t require smog checks, gets you in the HOV lane, allows you to run the AC while you are not in the car, and is much more pleasant and fun to drive. The analysis also shows that the advantages of BEVs will grow even bigger as the carbon intensity of fossil fuels grows over time as unconventional fuels replace conventional fuels. At the same time, the carbon intensity of the BEV’s energy will get smaller as solar and other renewables keep replacing fossil fuels for electricity production (and you can buy solar panels if you want to do it yourself). “After our base case, sensitivity analysis, and uncertainty analysis, all of our results point to one main finding: a BEV is more energy efficient, and less polluting than a CV. Although it takes 13 years to pay off the extra initial cost of a BEV over the lifetime of the vehicle, a BEV can ultimately save the consumer money. With improving technology, batteries and their production will become more efficient and BEV costs will likely decrease, making an electric car more attractive in the future from the consumer’s standpoint. Thank you for a measured and fact-based reply. It is good to hear a Tesla owner admit the car is not zero emissions. Some studies find less emissions than ICE, some more. Nevertheless, the emissions are substantial, and comprise a more diverse toxic cocktail than more simple machines. So why does Tesla get hundreds of millions of dollars taken from other car manufacturers and given to them as a “zero-emission” subsidy? Much of the difference in the emissions studies is based on assumptions about the source of electricity for recharging. We both know the solar panels on the charging stations are for show. The energy they produce is tiny compared to the requirements of cars. These are grid-powered stations. If the emissions of only power generated within California are used for UCLA’s emissions study, they will get a false value, as California imports its highest emissions electricity from Mexico and other Western states. Here is a Supercharger Station charging Teslas from diesel generator. The irony and hypocisy speaks for itself. https://youtu.be/LU4z1Jeyq2g. As to range anxiety, a common motorist can travel 350 miles or more and refuel their car in 120,000 locations across the USA. They can recharge their car at the rate of 5,000,000 watts with a typical 8 gpm gasoline pump. A typical home is limited to 200 watts for the entire property. Upgrading homes and neighborhoods and cities to support BEV charging and/or home storage batteries is a huge cost. If everyone drove their cars and charged their cars and used their homes at random times, it would be more feasible. But the fact is most take their cars to work in the day and bring them home to charge at night. And the sun still stubbornly shines during the day and is below the horizon at night. That means huge current flows into and out of neighborhoods every day in the fantasy scenario of everyone having rooftop solar and a BEV. This serves to increase peak loads and diminish minimum loads, which makes the entire bulk power system less efficient. This all comes down to the sleight-of-hand of hiding emissions and shifting costs. The truth is not as simple nor as green as the brochures. Ike: BEVs are zero emissions at the car and that does help regions deal with air pollution, but I don’t think anyone (who doesn’t have their own solar panels) claims that BEVs are zero net emissions when their power source is considered. I believe you meant that most homes are limited to 200 amps (not watts). My home is limited to 200 amps and I have no trouble charging my car at 80 amps. But any home that has an electric clothes dryer or any 220V outlets can easily charge a BEV overnight. 15~30 amps is all that is needed to ensure your car is full every morning. With my 80 amps, my car usually charges to full in less than 2 hours, so I could easily get by charging at 30 amps. Almost any house can support a BEV. Also, I set my car to start charging at 11pm, which is when the time-of-day pricing drops to $0.10/kWh. So while you claim that charging at night is a problem, it is not. That’s when utilities have excess power and that is why they sell it for less. They import power to supply the afternoon peak, which is, of course, a good fit for solar power. The sun shines when the peak demand is highest. And while some chargers may be run off of dirty power, there is no need for that. The Tesla Superchargers are run by Solar City, as I understand it, and while the solar panels at the chargers may not supply enough power, there is no reason that the power that runs the chargers can’t be from clean or cleaner sources. And that brings me to another clear advantage of BEVs. It is much easier to clean up 100 million BEVs by adding renewables to the electric grid (something that is happening now) than it is to clean up 100 million ICE cars. So the bottom line is that BEVs are likely better than ICE cars now from a total lifecycle emissions point of view. And there is no doubt that their advantage over ICE cars will grow over time as BEV technology, especially batteries, improves and the grid get cleaner. While ICE mpg figures will improve over time because of government mandates, the energy intensity of fossil fuels is getting worse over time. Again, BEVs are more convenient, safer, much less expensive to operate, and are certainly more fun and pleasant to drive, among other advantages. Long-range (200 mile+) BEVs will be dropping dramatically in price in about 2 years (about in half) and range for top end cars will improve about 5%/year for the foreseeable future. It’s great to be an early adopter, and I’m quite sure that BEVs will be the most popular new car type in about a decade. Just looked more closely at your UCLA study. What a joke. They used fictional 2020 values of California’s power grid instead of actual values. According to them, “the electricity producing energy mix in 2020 will comprise of: coal (1%), nuclear (11%), natural gas (36%), total hydropower (13%), wind (15%), geothermal (5%), solar (5%), and biomass (2%).” Just checked the real numbers for 2014 (http://www.energyalmanac.ca.gov/electricity/electric_generation_capacity.html ) and the fuels making power for your Tesla were 61% natural gas, 8.6% nuclear, 8.3% hydro, 6.5% wind, 6.1% geothermal, 5.3% solar, 3.3% biomass. So instead of their postulated 40% renewable electricity generation, it was only 29.5%. Even worse, they, like CARB and CAISO and CEC and Sacramento and Malibu, only count in-state energy production, even though California imports 30% of its power. And this imported power is mostly fossil as well, and includes 5 coal plants (http://blogs.kqed.org/climatewatch/2011/10/19/californias-dirty-secret-the-five-coal-plants-supplying-our-electricity/ ). The UCLA study also assumed 100% battery recycling, even though their research told them it was not economically feasible, and everyone was likely to continue to use virgin material. More added cost and cost-shifting and emissions shifting. And all of this continues to be covered up with “truth shifting” by such gimmicks as we see above. Now it is plain to see how UCLA fudged the numbers to make California politicians and Tesla owners feel better about raising electricity rates for the rest of us, while covering up the true emissions. Another example of how it is state and federal government-sponsored research that is really suspect today, as it is paid for by incumbents trying to keep the reins of power, and coming to the “right” conclusions is essential to guaranteeing future funding and political favor. Some more whoppers from the UCLA study. 1. When a US national power generation mix is used instead of the fictional California mix, it raises lifecycle emissions for BEVs by 70%. 2. The study assumes represents all ICE vehicles with a gasoline car that gets only 31 mpg. They conveniently ignore more efficient gasoline vehicles that already exist and completely disregard the most efficient and promising ICE engine, the diesel. We have previously discussed how the Volkswagen Polo, which has been on the market for years, already achieves 82 mpg — a 160% increase from the study assumption, and better than a Prius. 3. The study arbitrarily decided to increase the carbon intensity of gasoline 15% because they predicted a larger fraction will come from tar sands. Instead, the carbon intensity of gasoline is decreasing because the crude oil from fracking and deepwater drilling is actually lighter and sweeter crude and more easily refined. And the EROI has been increasing from recent historical norms because of greatly improved extraction technology, particularly for tight oil. The California Air Resources Board paid the University of California for this incestuous study to validate the benefits of the state’s RPS and future CARB AB32. The study authors cooked the books with indefensible assumptions. The result is not worth the paper it is printed on. Ike: 1) It’s not surprising that a California study uses the California power mix. Other states must clean up their act and, hopefully, will be coming closer to California’s emissions over the next decade (while California lowers its emissions even more). 2) It makes sense to compare an average BEV to an average ICE. If you do otherwise, you are cherry picking. I see many BEVs on the roads every day; I may have seen one or two Polos in the past year. And while the very best diesel hybrid may be quite efficient, BEVs are in a rapid state of improvement. In two years, with GM and Tesla (and probably others) will have ~$30K cars available with 200 mile range. Battery density is improving (I know of a company working on batteries with 4X better Wh/kg) and Tesla will be building its batteries using renewable energy so their cars will start out with a similar emissions profile compared to an ICE car. Except for that initial difference, BEVs have much lower net emissions than an ICE car (and it is much less expensive to power a BEV than an ICE car… the average driver (not a Polo driver) saves about $10,000 over 5 years). 3) It is fair to assume that a BEV offsets use of more carbon intensive oil. Use of BEVs is offsetting a marginal barrel of oil and those marginal barrels are the most expensive barrels to produce, i.e., tar sands and similar grades. Yes, I meant to say 200 amps, not watts, and to elaborate on the challenge to any significant penetration of BEVs in a residential community. Most homes built since the 1970s across the USA today are wired like yours for 200 amps. While the theoretical maximum wattage through a 200-amp panel is 120 V x 200 A= 24 kW, the average home power consumption is only 1/20th of that at 1.2 kW, and the average home peak demand is about 1/5th of that at 5 kW, depending on HVAC loads and local climate. BEV owners are the most likely to opt for 400-amp service upgrades so they can more rapidly charge their cars. One BEV on 200 amps has the potential grid capacity demand of 5 average homes, and on a 400-amp customer with a big battery draw could pull the peak wattage of 10 average homes. It is like building four or nine new houses in a neighborhood without upgrading the distribution lines or transformers. If more than a small fraction of widely spaced households get a BEV, the existing capacity margins are consumed and the whole network has to be upgraded. Capacity is an instantaneous requirement. Multiple BEV charging cycles only need to overlap for a second to overload the local grid. The basic problem with distributed generation and distributed storage and residential BEVs is that these all impose arterial demands on the capillaries of the electrical system. The cost of upgrading all the capillaries to arteries is spread to everyone on the grid, and particularly to the poorer rate payers who were perfectly fine with the 100-amp service to their apartment or trailer and were already struggling to pay their bills at that. The fact is, with the subsidies and cost shifting, your Tesla and its charges are being paid for by a lot of people besides you. Ike: As I explained, my house has 200 amp service. I have the charger on a 100 amp panel. At 80 amps, I can add 56 miles per hour of charge. A 30 amp panel is all that is needed to charge a Tesla overnight and ensure it’s full in the morning. So, there is no need to upgrade homes to 400 amp service! Also, charging is usually done at night when electric demand is low (and prices are low). So, the impact on the grid is minimized. Another advantage of BEVs for the electric grid is that a Tesla, and I believe other BEVs, have all the equipment needed to regulate charging rates (including wireless data connections). So it is possible for an electric utility to offer a discount in return for being able to slow down a car’s charging rate. This type of “demand response” is easy to implement and could have a big impact on stabilizing the grid once BEVs achieve more penetration. I appreciate the comments that have been made thus far. As far as I can tell, in the 10 days since I put up the original post, there has not been much actual interaction with the two papers I cited. So I hope at least some of the folks who responded actually did read the papers, or at least their abstracts, and perhaps have a better sense now of how challenging it will actually be for BEVs to simultaneously achieve GHG reductions and petroleum import reductions. I do invite you to read the papers carefully and draw your own conclusions. Contrary to we might wish were the case, BEVs are going to have a tough time meeting both national objectives. In a direct response to Carl Pope, I would just point out that the studies certainly did NOT assume that the BEVs could not achieve large market penetration. In fact, both studies assumed high rates of BEV penetration as part of scenario-testing, and found that even under the best conditions, it would be really difficult to achieve both large GHG reductions and large energy security benefits simultaneously. BEVs are simply much more limited in their ability to simultaneously reduce both GHGs and petroleum use than has been previously assumed. I leased a Chevy Volt between March 2012 and December 2014. It is a great car and really fun to drive. I averaged 91 miles per gallon overall, with a summer range of 36 miles per charge and a winter range (early November through late March) of about 26 miles per charge. I drove about 31,000 miles total during the period of the lease and had almost no maintenance issues, but the battery pack did discharge itself twice while I had it parked at an airport lot for over a week. I did not renew my lease. Without the Federal tax credit the second time around I could not even remotely make the economics work. I think we need both BEVs and biofuels to achieve our national goals of reducing GHGs and petroleum dependency, but these two separate analyses both point in the same direction: BEVs have a much tougher road ahead than may have been appreciated before. Bruce: According to the abstracts, if I understand correctly, assuming a BEV/PHEV penetration that results in 40% miles driven on electricity, then a stated goal of 50% petroleum reduction can be met but a stated goal of 80% GHG could not. This suggests that the rate of BEV penetration and electric decarbonization should be raised to further lower petroleum use and GHG emissions. It may be difficult to imagine BEV penetration that goes beyond 40%, but BEVs are better than ICE vehicles in every way except range and initial cost, and both of those measures will improve rapidly. In 10 years time, BEVs will be the obvious choice when buying a new (autonomous!) car and the electric grid will more decarbonized. As mentioned in your studies, airplanes, trains, long-haul trucks, and ships may still need liquid fuels. Biofuels may be the answer in part, but unfortunately land use issues for growing biomass are problematic today and could get worse as rising temperatures and increased droughts and floods decrease food production efficiency. An alternative solution is “air capture” of CO2. While not available economically today, with further R&D it may be achievable at less than $100/ton CO2 (roughly $1/gallon). Dr. Dale there is a renewable method of making energy that is far lower in cost than Bio Fuels and offers a real chance of beating fossil carbon it it’s strongest point, Low Cost. The explanation is largely not engineering but economic. Existing electrical grids all suffer from a very strict limitations on the power they generate that limit their profits and their productions. The right kind of renewable can overcome that limitation and be far better able to produce carbon neutral hydrocarbon fuels as bio fuels will but can generate Grid scale electricity in a fashion that is far more predictable than Solar, Wind, Wave, and tidal sources. Bio fuels and hydro systems are at present getting the short end of the funding supply which is strange for there is far more energy there then all the other systems combined. That is not from me but from a paper by those wild and crazy men at the British Royal Society. At the time they did not have a method to extract but I have been working on that and I may have a solution. I think this is a very thoughtful analysis. In my view all subsidies should be moved from biofuels to BEVs and HEVs. Biofuels are operating under some of the most lopsided information flows imaginable and are having tragic impacts on our overall global carbon sustainability. Has anyone noticed the rising awarness of the approaching desperation and freshwater scarcity we are facing? The picture one needs to take on biofuels is that they are also slurping fresh water reserves at abou 100 gallons per mile driven. Further the net impact of the destruction of rainforests in order to grow more biofuels would probably caculate to double attibutable CO2 emmision from driving a car on biofuels than driving a reasonable high mileage Hybrid, Gasoline or Diesel vehicle. Ironically there is another article out today about how much carbon equivalent is in a chocolate bar. It’s pretty neat in how it points out how the clearing of rainforest for cacao is hurting the CO2 picture. Well, the impact of rainforest clearing for biofuels is vast multiples of those used for growing cacao. I really invite challenge on this. Also, I should mention that my involvement in non combustion vehicle energy systems from fuel cells, to batteries, to hydrogen, to batteries started in 1998. 1) The key point of the two independently-analyzed and written papers I posted at the start of this discussion was that we just cannot meet all mobility needs with electric vehicles. Period. It is not a policy issue, and no amount of wishing will make it so, it is simple physics. Only high energy density liquid fuels will serve to meet a very large fraction of our mobility needs. We are going to have to produce sustainable biofuels in very large quantities if we wish to have a sustainable, low carbon transportation sector. I don’t know how to say this more clearly, but sustainable biofuels are not optional. We must have them. 2) So we must focus on sustainable biofuels. If we do focus on sustainable biofuels, then many of the dilemmas you both raise tend to go away. We should not be pursuing unsustainable biofuel pathways, in much the same way that increasing the number of BEVs on the road without decarbonizing the grid will not make for a sustainable transportation sector. 3) There is a lot of analysis and thinking about how to produce sustainable biofuels in large volumes. A recent report from SCOPE is the most up to date, comprehensive analysis I know of on this subject. Here is the link. I invite everyone to at least read the Executive Summary. 4) Finally, given limited public funds, and the high cost of Teslas, and Volts, would it not make more sense to use these public funds not to subsidize individual (expensive) transport but to set up large scale, low carbon, mass transport systems instead, such as urban rail systems? It seems to me we would get a lot more carbon reductions, and help a lot more people reduce their fuels costs, if we thought about the less prosperous among us first.